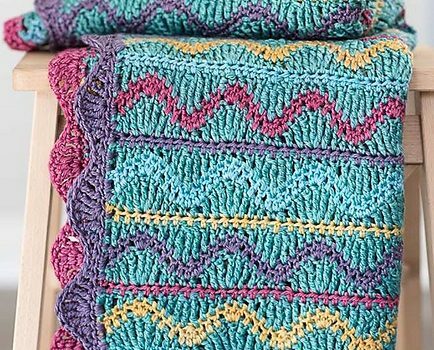 Such an exquisite baby blanket pattern! 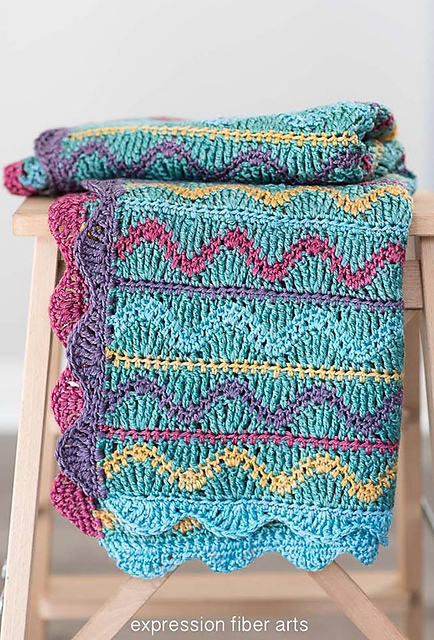 Squiggles Baby Blanket by Kristina Smiley is a colorful, joyful baby blanket that shines with multiple colors throughout and your little one will treasure it for years. With a great size perfect for baby through toddler years, this baby blanket can easily became your little one’s much-loved and favorite blanket. Shown in colorways: Jungle (A), Moment of Zen (B), Saffron (C), Favorite Lipstick (D), and Pansy (E). This yarn base is great for a baby blanket as it’s a mixture of superwash merino wool (machine-washable and cuddly-soft) and tencel for strength, longevity and a subtle shimmer. Thanks to Kristina Smiley for the article inspiration and featured image. They are asking $4.95 for the pattern. Excuse me, but $4.95 is not free! True! It used to be free. Thanks for the update Marianne!